The company's development at an international level often depends on successful business relationships and to ensure it at a high level, the modern businessman spends a large part of his work on the road. Baltic Travel Group team knows that their customers appreciate a business trip designed to nuance so that they can do everything efficiently and have a good impression on the meeting partner. Therefore, in collaboration with business travel experts from the Baltic Travel Group tourism company, we have made some advice on how to plan our business trips correctly so that they provide the greatest benefit. Firstly, everything starts with the planning of the trip- choosing the most convenient ways how to arrive at the destination, where to settle, or what visas are required then following with transfers and of course accommodation and whatnot. Travel consultants, therefore, helping to create a journey where not only they will be able to meet all of the clients and partners, but, while traveling to do their work remotely, resting in a hotel, and indulge in the modern practice called “bleisure”. After the destination is set the best and favorable flight options are found. Flight. When the destination is determined it is time to look for a way how to get there. If the flight is within borders of Europe then the choices are much and different, for flights, departure times and cities. However if the flight is to a more distant destination such as one of Asian countries or America, the time spent flying is longer, therefore the proper selection of connecting flights has to be made and of course, the comfort of the passenger is one of the most important things. 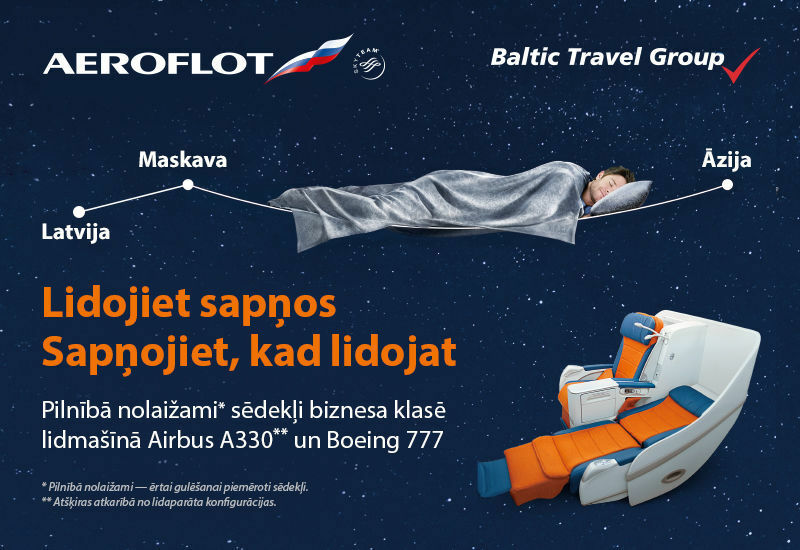 In such cases, Baltic Travel Group recommends the airline “Aeroflot” - convenient connections and high-quality services in transit zones are particularly important – all of which helps to maintain energy and avoid stress during the journey. For such long-haul flights “Aeroflot” has a lot of benefits- the price of any class ticket includes at least one unit of transferable luggage, while in comfort and business classes, opportunities are even more so that the business trip has succeeded and comfortable. Excluding priority registration and boarding, these airlines are adaptable to changing conditions – it can be canceled or changed to a date and time free of charge or only with a small additional payment. For long flights, it is important to use time productively and business and comfort classes are equipped with all the necessary work, including tabletop, USB smartphone charging, WI-FI, individual lighting, and there is more personal space for thoughts to fly. For long transcontinental flights, the business class has a fully transformable seating position on the bed, it is wider, and the airline takes care of a travel kit with a cushion, a rug, and other necessary things. It always seems that flying into a business class is exclusive, but in fact it must be mentioned that a timely purchased business class ticket may prove cheaper than an economy class ticket to learn all the options for buying an appropriate ticket, contact “Baltic Travel Group” (contacts), they will find the best solution for each needs. Hotel. Finding the right hotel is crucial: its location from appointments, points of interest and public transportation, as well as comfort levels, may be more than crucial for the trip to succeed. In order to be able to manage daily plan efficiently, the route is to be planned - to be marked on the map for airports, events and business appointments, public transport stops and routes, points of interest, and then there will be a clear location for the hotel. The next step is to understand the importance and need for additional services offered by hotel - a restaurant, a bar, a conference room, and a negotiating room as well as an SPA center. A personal travel consultant. 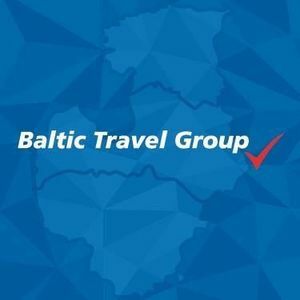 Baltic Travel Group team works so that the client can focus on the development of his business so that there is no need to worry about nuances, such as flight connections or on-hand search for a hotel locality on the map. A travel consultant linked to each client will provide recommendations on flights, their times, hotel selection and localization, reviews, and transfers, and will provide support 24/7 during the trip. The team underscores that business is a marathon, not a sprint, therefore patience is important. Business trips may not give immediate results, but they will most certainly be worth it.